Should you Delete Old Instagram Photos & Restart your Feed? Should you Delete Old Instagram Photos and Restart your Feed? Thinking about changing your feed? Cleaning it up? Starting fresh? Should you delete old Instagram posts first? Or leave them on your feed? We get these questions asked all the time when people start using their Preview app for the first time. Help! What did YOU do? Did you delete your old Instagram photos? Or did you just create a new feed on top of your old one? The first option is to just change your feed. Don’t worry about your old posts! From what we’ve seen on Instagram, the majority of people start posting their new Instagram posts on top of their old ones. 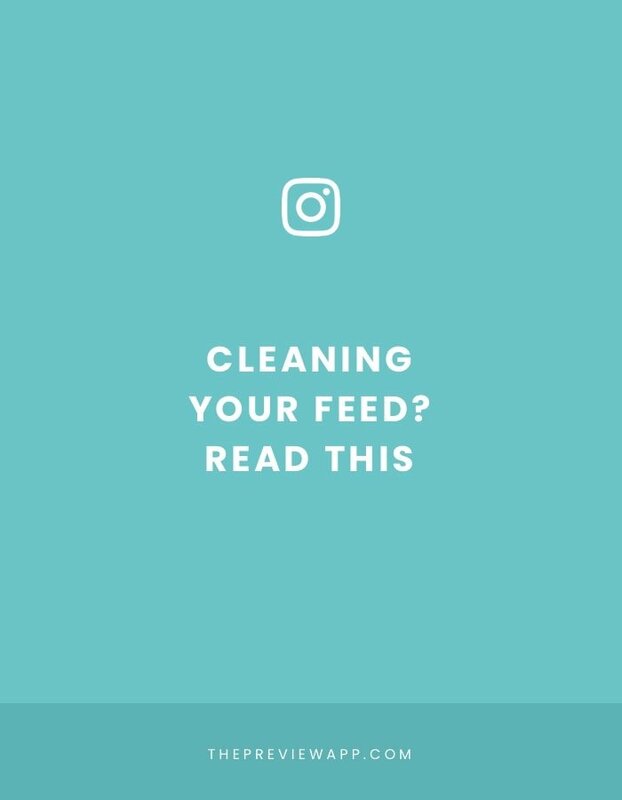 You will be able to see how your feed looks like before you post on Instagram. Don’t worry about your old posts. It is the first impression that counts = the first 12 photos in your feed. After you post 12 photos, people will see these 12 photos straight away. Of course, they can still scroll and see your old posts. But I can assure you they will be impressed by how far you’ve come. After just a few weeks, most people won’t even see your old posts anymore. You really love your old Instagram photos and want to rearrange them and edit them in Preview? First and foremost, remember that Instagram doesn’t allow anyone to rearrange or edit photos that are already posted on Instagram. So you won’t be able to change your existing Instagram posts. This might take some time as you have to save your Instagram posts one by one. Another trick is to use a “theme divider”. A theme divider is a series of 3 posts that act like a wall between your old posts and your new posts. Most people use cute drawings or a quote. Where to find theme dividers? Go on Google or Pinterest and type “Instagram theme dividers”. You will find a lot of different styles. Now, if you really can’t stand looking at your old Instagram photos anymore, you can hide them from your feed. There is a cool Instagram feature called “Archive”. 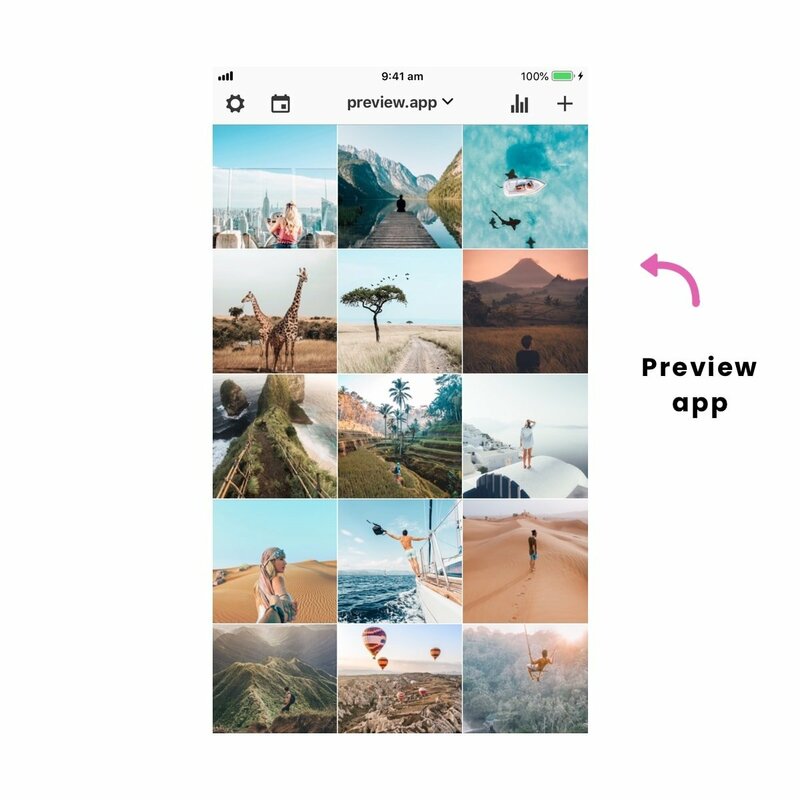 It allows you to hide old Instagram posts from your feed. The posts will disappear from your feed, but you will still have access to them in a hidden “Archive” folder. Last resort: You can’t stand your old Instagram photos. They need to go. You really don’t mind if they’re gone. And you won’t miss them. In that case my friend, you can delete your old Instagram posts right now and restart your Instagram feed FRESH! It will help other people make their decision too!